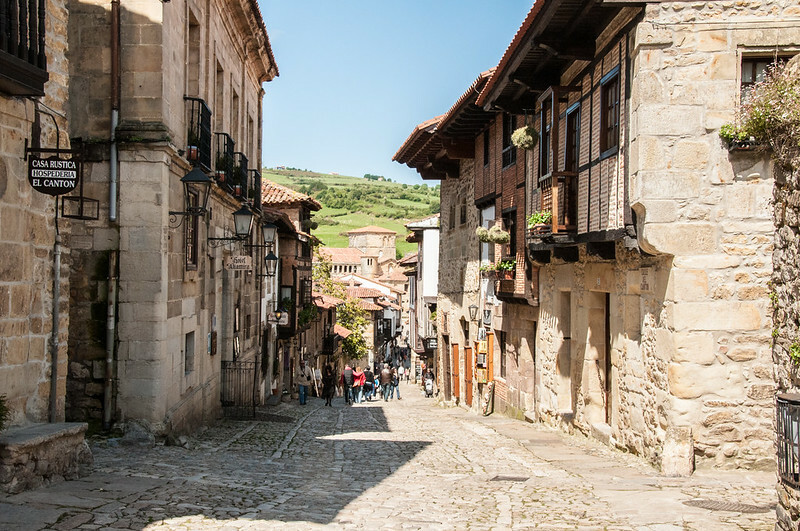 On our first full day in Cantabria – the bit of Spain we were in – we decided to visit the Caves of Altamira. These are world famous for their Paleolithic cave paintings. 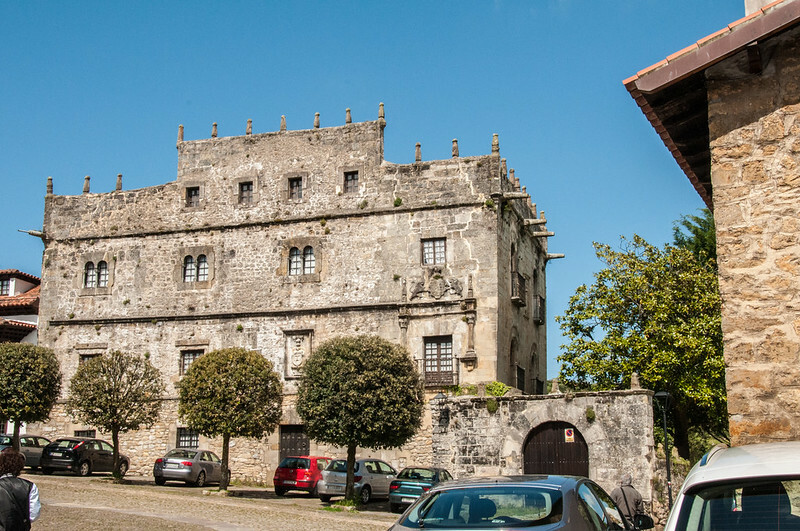 From there we went to the charming beach resort of Comillas, where we had lunch, then to the carefully preserved town of Santillana del Mar. Our final stop on our return to Lierganes was the Cuevas del Castillo where you can actually go into a cave with “real” paintings. 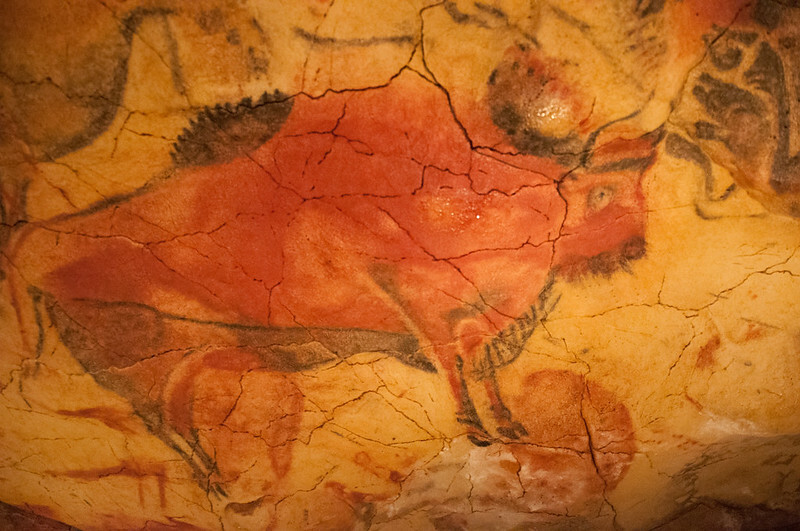 The caves of Altamira were (re)discovered in 1879 and excavated. The paintings were proved to be Lower Magdalenean (between c. 16,500 and 14,000 years) in age. This age was treated with great scepticism when first proposed but is now accepted. But more recent work suggests that some paintings are much older. Dates of 35,600BP have been suggested using uranium-thorium dating. Because carbon dioxide from the breaths of visitors was causing the paintings to deteriorate, the caves were closed to most and a facsimile of the caves opened. It was this that we visited. I suspect the fake cave is easier to negotiate than the original. The characteristic painting is the bison. But other creatures such as antelope are also present. The paintings use charcoal and ochre or haematite to make the images and also use the shape of the rocks to increase the life-like nature of the paintings. The paintings must have been done by torch light as they are far from any natural light. And looking at them must have required the use of similar sources of light. So the painting was difficult, the viewing also. For the people involved it must have been important that the paintings were done. We can only speculate what the reasons were. 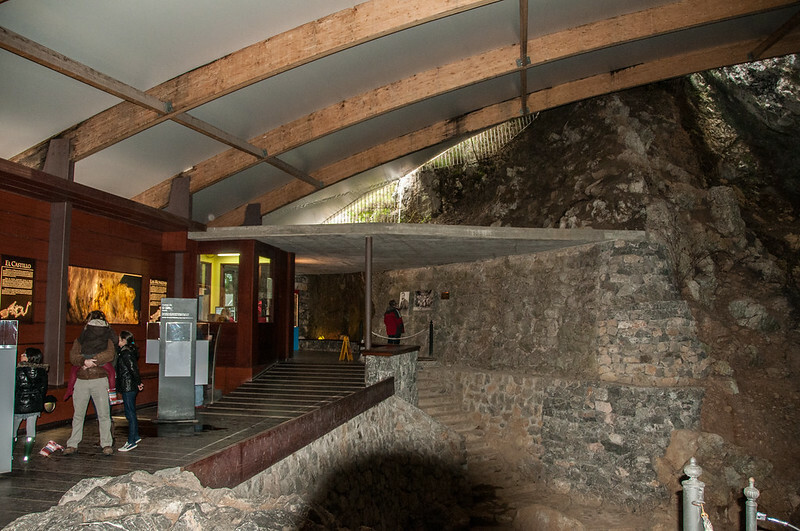 There is a very good museum at the site which has exhaustive coverage of life in the Paleolithic. 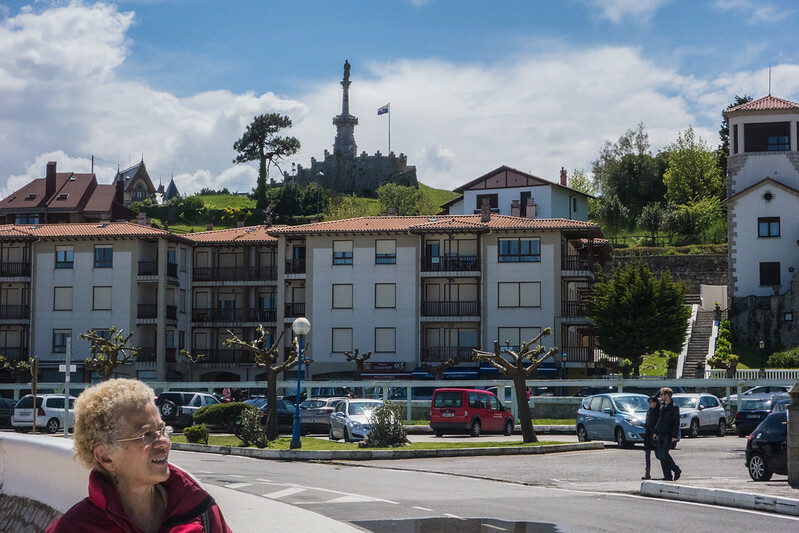 After Altamira we continued on to Comillas, noting Santillana as we passed it and resolving to go back to see it. 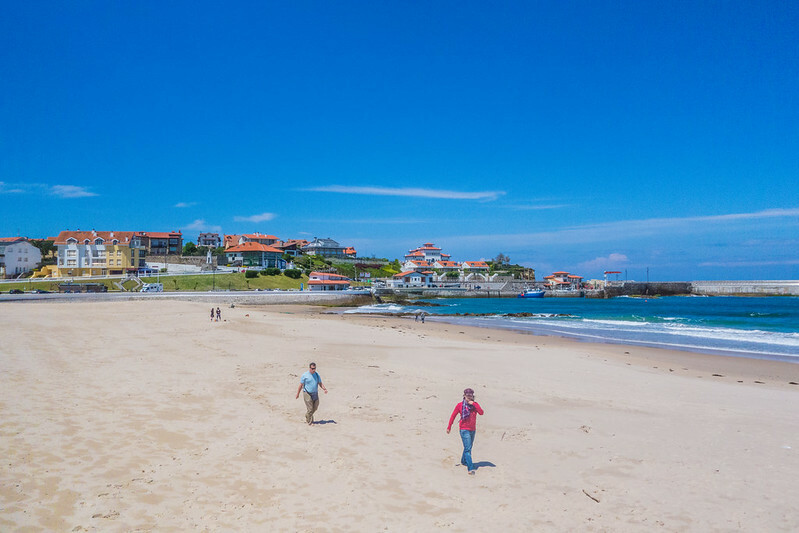 Comillas had the feel, if not the looks of an English seaside resort of the 1950’s. It certainly had the cold sea and icy winds when we were there. The clear blue skies in my photos are deceptive! A bracing walk on Comillas beach! To make the place more exciting for geologists the flanking cliffs show some interesting folding and faulting. 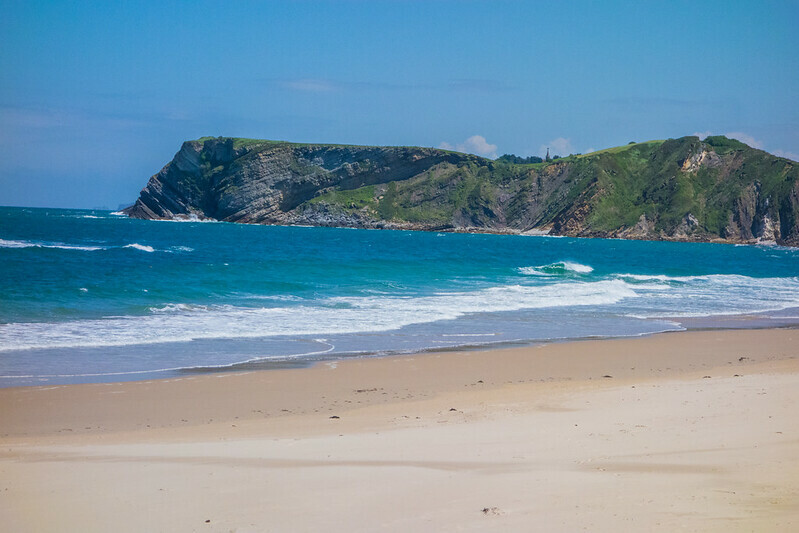 The cliff at the eastern edge of Comillas beach. But the main reason we had come to Comillas was to get some lunch. And a cafe on the front served admirably. Prawns, chips and white wine went down very well! Our lunch stop, Comillas. Wrap up warm! 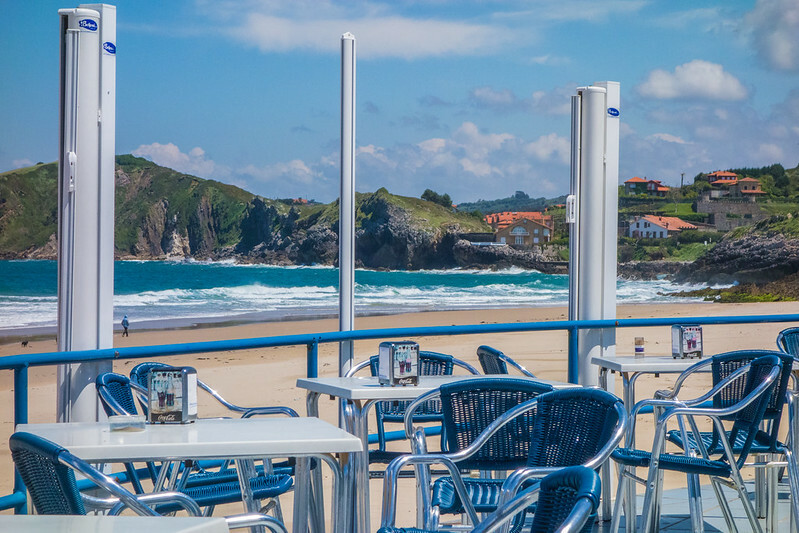 With warmer weather I think Comillas would be a lovely place to stay for a beach holiday. And it is in easy reach of Santander. 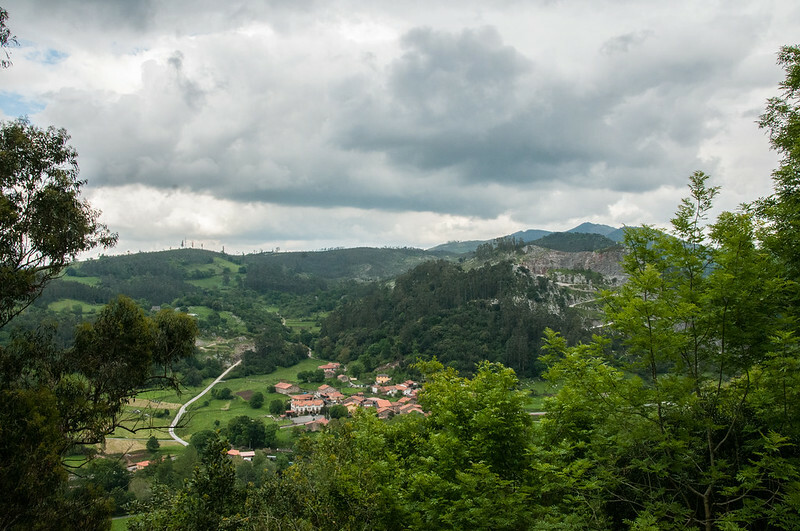 We had noticed Santillana as we drove past so returned to see more than we had glimpsed from the road. We found it to be a perfectly preserved village which looks as if it had been designed by the National Trust. Everything is perfect. 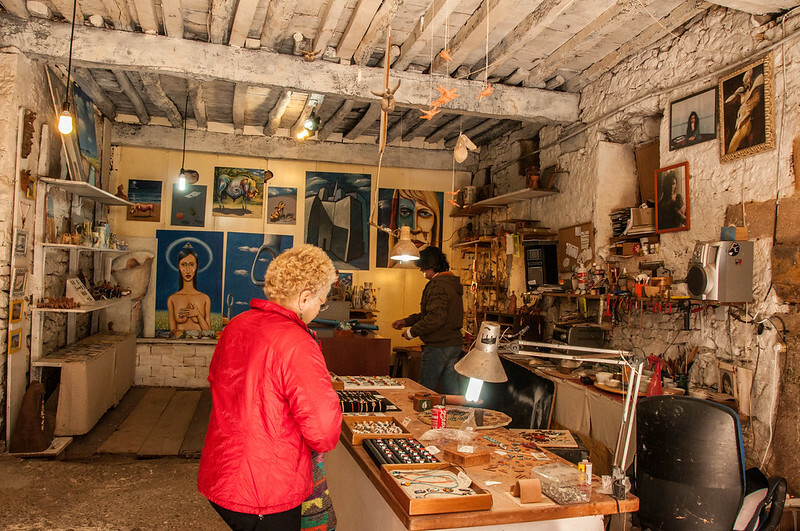 There are authentic artist retail opportunities, in suitably authentic, ramshackle premises. There is even a spring on the main street. The original village wash house is next to the spring but I don’t have a photo of it. 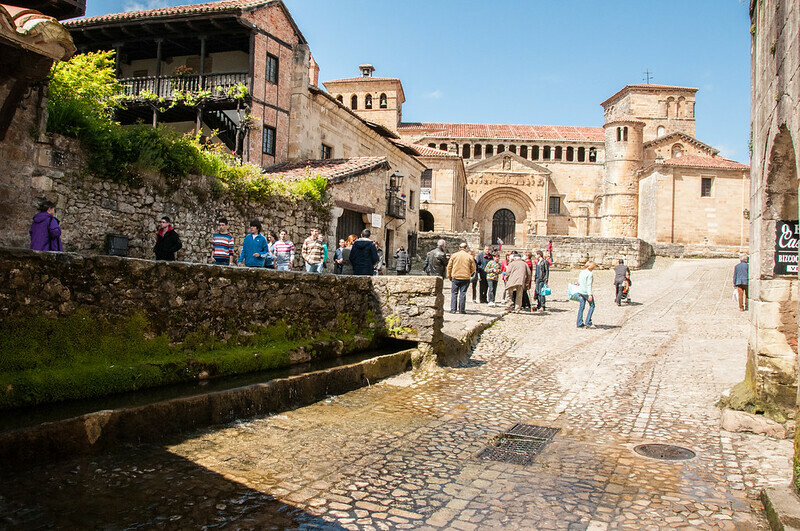 The spring in the main street of Santillana del Mar. Church in the background. The “Big House” of the village, complete with its fake cannon, is still impressive. And it is still a very charming place to wander through. The place is so perfect that one has an irrational dislike. It is cleaner than it ever was when people lived in it. Every second building is a hotel or has rooms for rent. And the other buildings are shops – many of them very expensive ones. 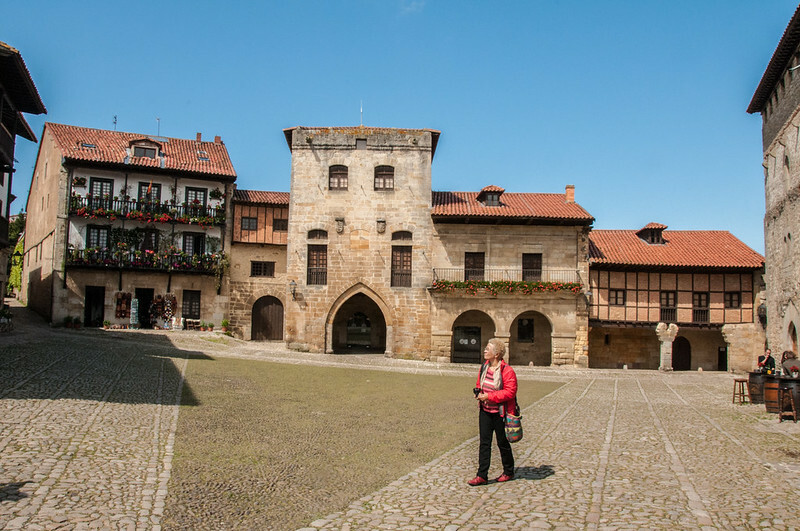 So Santillana del Mar is a perfect mediaeval village sanitized for the 21st. century. Having got a taste for Paleolithic art we looked at our guide book and headed for Cuevas del Castillo. This cave is perched high above the village of Puente Viesgo in the limestone hills which dominate the area. 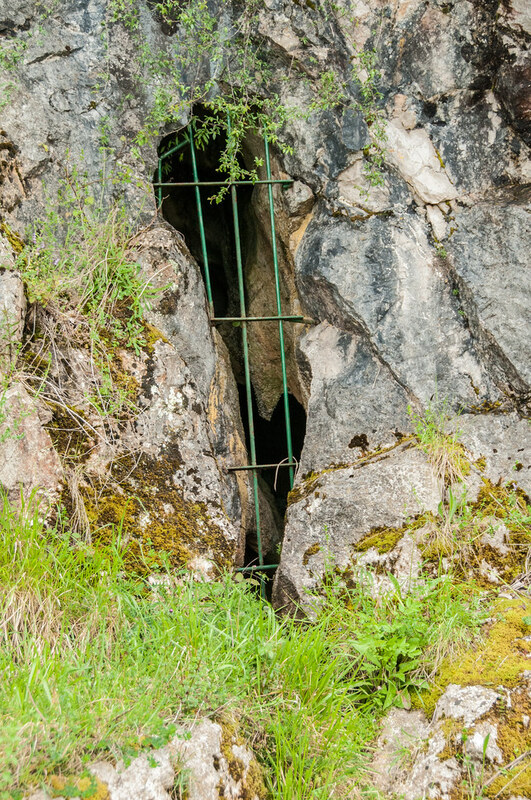 The hills are riddled with natural caves – indeed the road from the car park to the show cave intersects a cave. 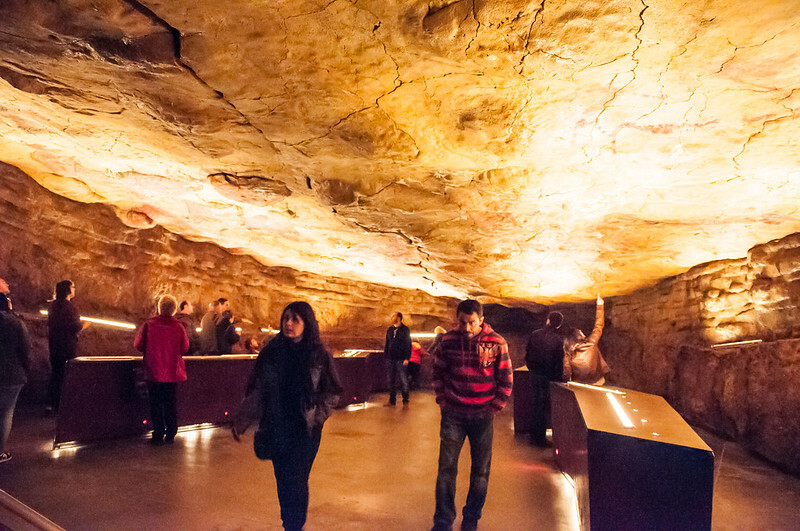 Unlike Altamira one can actually enter the real cave and see the paintings. 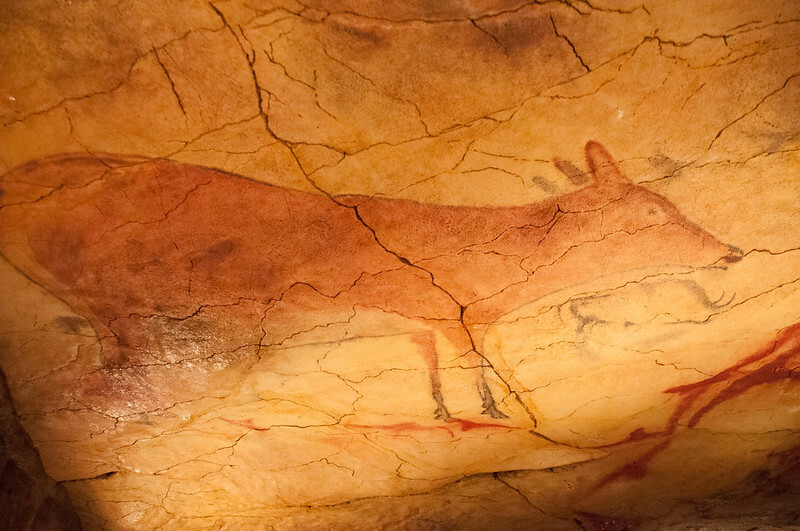 The paintings and other markings span from the Lower Paleolithic to the Bronze Age. Unfortunately the paintings are less spectacular than Altamira and much more spread out. Perhaps the best introduction is THIS video – if you can stand the music. A red dot in this cave has been dated to 38,800 BC – the oldest cave decoration known in the world! Things can only get better!!! Unfortunately one cannot take photos in the cave but I did manage to sneak a couple at the entrance. There has been a lot of excavation in this cave and much of what you see was once full of stuff dating from about 50,000 years ago to almost the present. 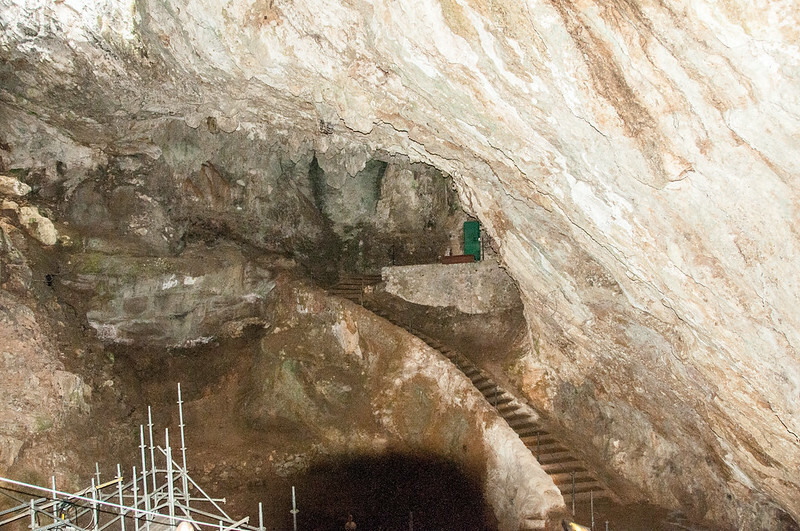 Inside the caves. The paintings are through the green door. After the very satisfying visit to Cuevas del Castillo we headed back to Lierganes. Things I've done, places I've been.